What is the Behind the Scenes Tour? What is included in the The Behind the Scenes Tour? How long is the Behind the Scenes Tour? Are there any restrictions for this experience? How many people can do the Behind the Scenes Tour? How can I purchase a Behind the Scenes Tour ticket? 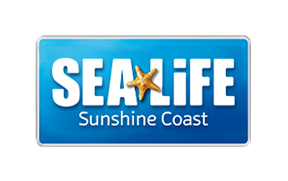 Do I get a discount as a SEA LIFE Sunshine Coast Annual Pass or Merlin Annual Pass holder? Take a look in our back-of-house areas to learn more about how we care for our animals. - Look down from above onto the tank that houses our 85 metre long ocean tunnel. - Question and answer session with your guide. Do you offer a concession rate?